Growing up only a few hours away from Chicago gave us the opportunity to visit throughout the years. There are several lists out there highlighting tourist attractions however we wanted to specially curate a list of our go-to's that incorporate both well known and local favorites. So next time you are planning to visit the windy city for the weekend, make sure to bookmark this guide - we're sure you will love these places as much as we do. 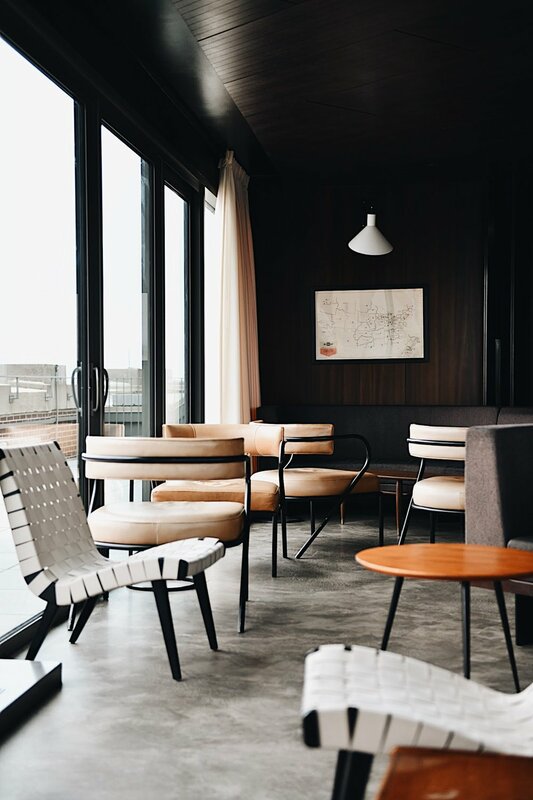 8:30 am | Wake up at The Robey - a midcentury modern inspired hotel with special amenities like a rooftop bar and balcony grotto, which make it hard to leave. Standing tall at 203 ft and with 89 rooms the Robey may be one of the newer hotels to the area but its quickly becoming a favorite. We recommend grabbing the avocado toast and an americano at Café Robey to fuel up for your day. 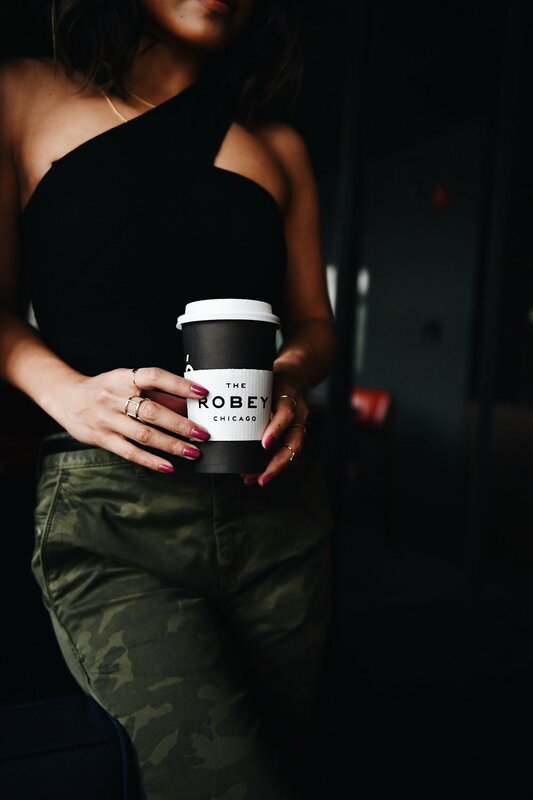 Not only known for their excellent customer service and views of downtown but the Robey has 3 bars and 1 café that can attend to all your foodie needs. At night our favorite was grabbing a drink at the Up Room which has a rooftop terrace showcasing the Chicago skyline. 9:30 am | Step out of the hustle and bustle of the city to the Garfield Conservatory, where you are instantly surrounded by lush greenery and tranquil fountains. Going in the morning is your best bet for finding quiet and stillness before tourists start pouring in. Check their calendar for complementary yoga classes on certain mornings. 11:00 am | If Morocco and Anthropologie had a restaurant baby, Beatnik would be it. 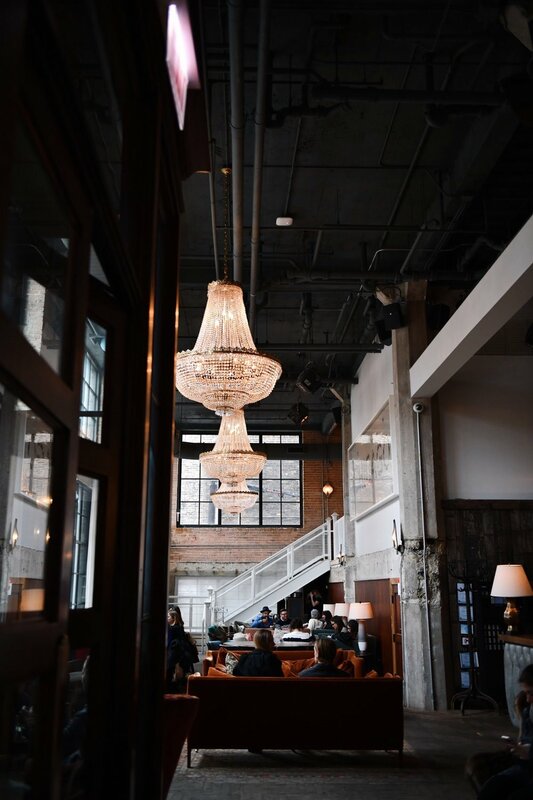 Even before you step inside, you know that the Beatnik is more than just a spot to eat... it's a whole experience. Pro tip | order the cinnamon chai roll. 12:30 pm | We love Heritage Outpost, a coffee and bike shop. I don't know what it is about these two but they work so well together. Maybe it's that grab-a-cup of coffee and go vibe but we're hoping we get one in Detroit very soon. Head back to The Robey for a quick power nap or to freshen up before dinner and drinks. 5:30 pm | Midwest living means spring is nothing but another season of what if's. Celeste offers a rooftop garden vibe enclosed though so it can be enjoyed all year round. A deco inspired patio with large lounge chairs make up for intimate conversation and we loved the soft lighting and the bountiful amount of plants. 7:30 | Bellemore isn't just a new restaurant; it evokes a sense of newance as soon as you walk in. Elevated ceilings with walls adorned with stark whites and dark wood tones, the aesthetic will leave you wanting to renovate your own home décor. The food quickly showcases the level of artistry that the Bellemore is known for, with simple dishes that take on a complex elegance. 9:30 | Head to this upstairs hidden cocktail lounge and you'll quickly learn that this spot is so much more than just drinks. Bordel is known for it's cabaret shows throughout the night, with dark lighting and velvet seating. The Parisian style ambiance takes you to a time where late nights turn into morning hours and before you know it you're spilling into the streets with the memories of a great night. Pro Tip | Their signature cocktail is the porron, which is a Spanish wine pitcher, it's a whole experience. 9:30 am | Located in the Waldorf Astoria, Margeaux Brasserie mixes upscale vintage with a Parisian café. Indulge in a decadent brunch as you sip rose from their cart and sit in deep booths with dark wood paneling. Pro tip | if you have any stomach room left splurge for the cheese cart, its worth it. 11:30 am | When you need a quick fix for your sweet tooth head to Doughnut Vault, they create small batches of artisanal donuts that will leave you indecisive on your top choice. Pro tip | Order the special of the day. they are listed weekly on their website. 12:00 pm | Recently voted the #1 museum in the world by Trip Advisor, The Art Institute of Chicago has over 182 exhibits that call this space home. Where endless rooms of contemporary art quickly meld into impressionist and sculptural pieces from west and central Africa stand tall. We quickly lost track of time as we were transported to another era. 2:30 pm | We could have stayed all day at The Allis- and we almost did. Soho House's street level dining is one of the few restaurants within the club that are open to the public. 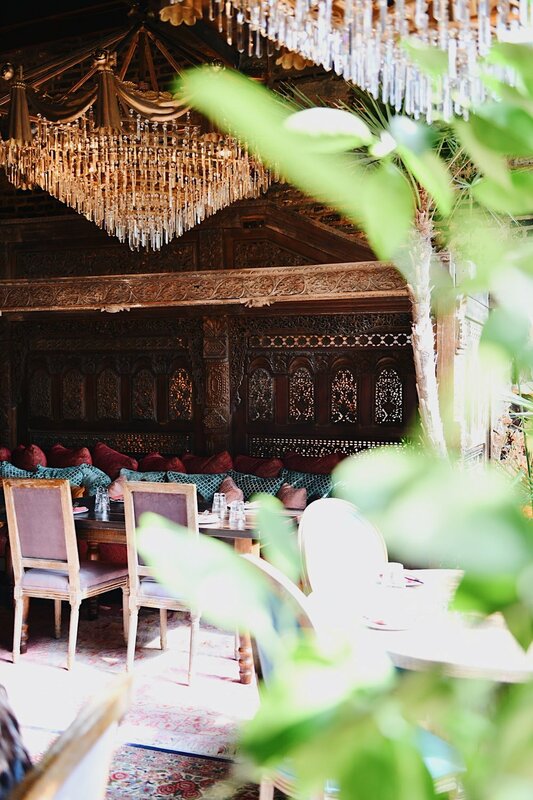 Comfortable seating below massive chandeliers set the mood for their well known tea service. Pro Tip | get a bloody mary and the warm coconut (vegan!) pudding. 4:00 pm | Disclaimer; Cindy's does not allow photographs of the interior but I snuck this one of the incredible view they have, It was a cold day but it was worth it. This spot is always hustling and bustling as it sits across from the Art Institute and is known for its incredible views of the lake and downtown. Its a rooftop bar which boasts a lively crowd and the perfect craft cocktails. Head back to the Robey to freshen up and head to the Up Room for a pre dinner cocktail. 7:30 pm | RPM Italian isn't one of the new kids, its a part of an entire group of restaurants in Chicago and we cant help but love them all. We recommend making reservation here as it's always busy. We decided to order a variety of dishes as we had a larger group and wanted to indulge family-style. Pro Tip | Always ask the staff for their recommendations, they know best! 9:30 pm | End the night with an artisanal cocktail at Violet Hour. This speakeasy spot doesn't allow standing room so make sure to get there early. The cocktail menu is constantly changing so step out of your comfort zone and be a little adventurous with your choice. Thank you to the teams of: Bonhomme group, Waldorf Astoria, The Robey and Lettuce Entertain You for hosting us these past 48 hours. on to the next city! To truly elevate any gathering there's a couple things you need; a solid playlist, finger foods, the best of friends and of course a signature cocktail. I try to always keep my bar cart stocked with a little of something for everyone so the ingredients below shouldn't be to much of a stretch to get. I worked in the restaurant industry for years and from that found a fascination with the craft cocktail movement. Now I may not have training, a perfected technique or knowledge of flavor profiles and history of spirits but what I do know is what I like, and what I like are the cocktails below. Rosemary simple syrup; add 1 cup sugar, 1 cup water and 5 rosemary sprigs (sometimes I add more, depending on how strong I want the rosemary) to a medium saucepan, bring to a boil until sugar is dissolved. Remove pan from heat and let stand for 30 minutes. Pour mixture through a strainer removing rosemary sprigs. I keep my syrup in a mason jar, make sure whatever container you use is air tight. Add the cranberry juice, gin, triple sec, and ice to a cocktail shaker. Shake for 5 seconds (don't shake to much as the ice will start to melt and dilute the cocktail). Pour into a vintage glassware with a ice and fresh cranberries. Top off with club soda. Garnish with cinnamon stick, sprig of rosemary and dehydrated orange slice. Dehydrated orange slice; preheat oven 200 degrees, wash and dry oranges. Slice very thin and lay on baking sheet with parchment paper. Place in over for 2 1/2 to 3 hours. Store in a cool dry place. Combine kahlua and vodka into shaker to combine. Add molasses and ginger, shake. Add rocks glass with an ice cube. Pour in the kahlua and vodka mixture first. After slowly add the heavy cream, make sure to pour the cream over a spoon so you get the perfect creamy layer on top. Serve in coupe and garnish with sprig of rosemary. Hope you all enjoy + Happy holidays. Preheat oven to 325 degrees and grease a 9 in cake pan with olive oil. In large bowl mix cocoa and boiling water. Add in your vanilla extract and then set aside to let cool. In a separate bowl add flour, baking soda and salt. Whisk till combined. In a mixer beat the eggs, sugar and olive oil until you have a fluff. On a slow speed combine the cocoa mixture and then slowly add flour, scarping sides of bowl to incorporate all if needed. Pour into greased pan, set in oven for 30 minutes. Do the toothpick test to make sure the cake is completely cooked through. Set aside to let the cake cool to room temperature. In a small bowl combined blood orange juice and powdered sugar, whisk together. After cake is cooled pour glaze over cake on wire rack letting the excess glaze drip off. Let the glaze set for 10 minutes before adding garnishes. 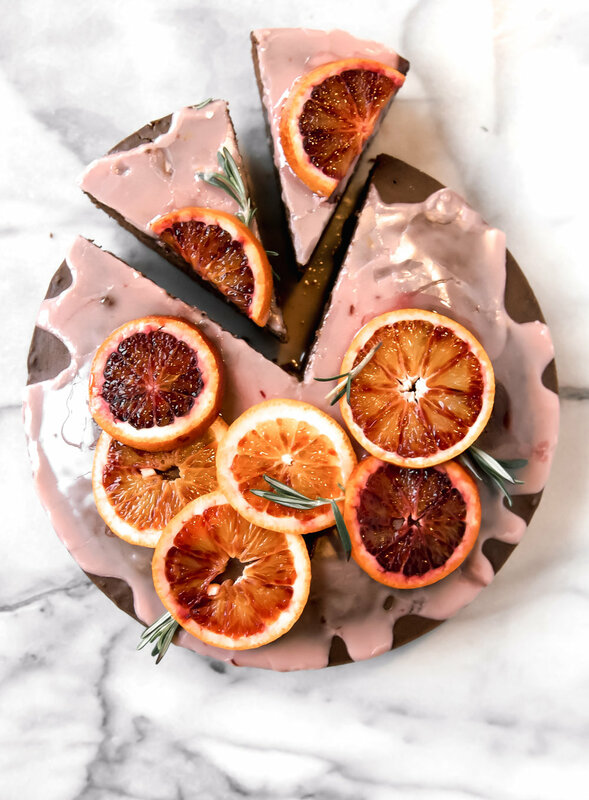 I recommend a couple slices of blood orange and springs of rosemary. I love my bed; I love sleeping in it, reading in it, watching a movie in it, eating late night pizza in it, having morning coffee in it, playing scrabble in it, basically ill do anything if I can do it from the comfort of it. I don't know if you guys know this but mattresses are expensive and finding one that will be your companion for the next 10 years is hard work. So if I can order a mattress that is created to love me as much as I love it, created to perfectly form to my sleep preference I should buy it immediately right? After reading reviews and searching the web for days for the perfect mattress for not just my needs by my fiancé Kevin's as well I stumbled upon Helix Sleep and found that my mattress prayers had been answered. Super simple, you and your partner take a sleep quiz that adds up to the perfect mattress. Its then shipped to your front door. open up the box, wait 15 seconds and BAM you got yourself a whole new sleep set up. Now why cant more things in life be this easy?